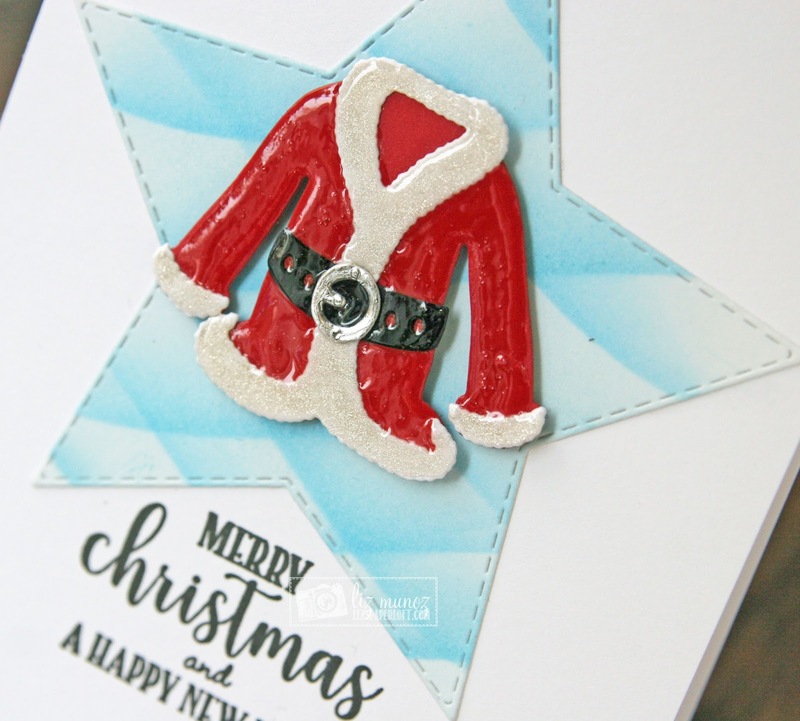 Liz's Paper Loft: MCT 5 Days of Christmas Day 3 ~ merry christmas! OMG Miss Liz What a Super Cute Card! Love how you used Glossy Accents on Santa's jacket sure makes for Super Cool look and your idea for star sure showcases the jacket too!! Adorable!! Love the Santa jacket! So sweet! I love the star shaped background! 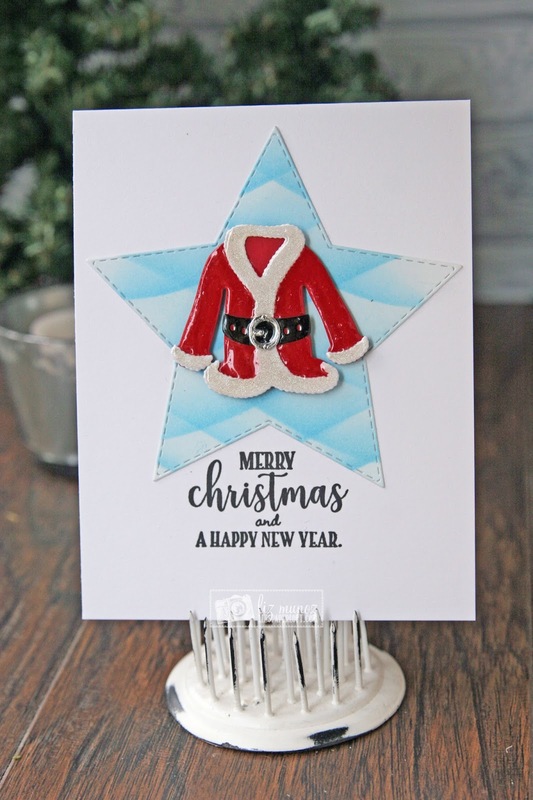 Very cute with the gloss and the star shaped background. What a sweet fun card! Love how shiny Santa's suit is! Interesting card design on your CAS card. I like how the star frames the suit. I love the card. Thank you for sharing! Love the Santa suit! Darling card! 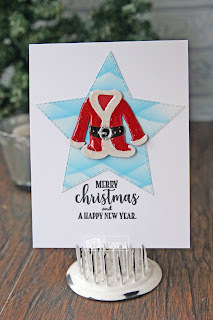 Cute card...Love the Santa suit!